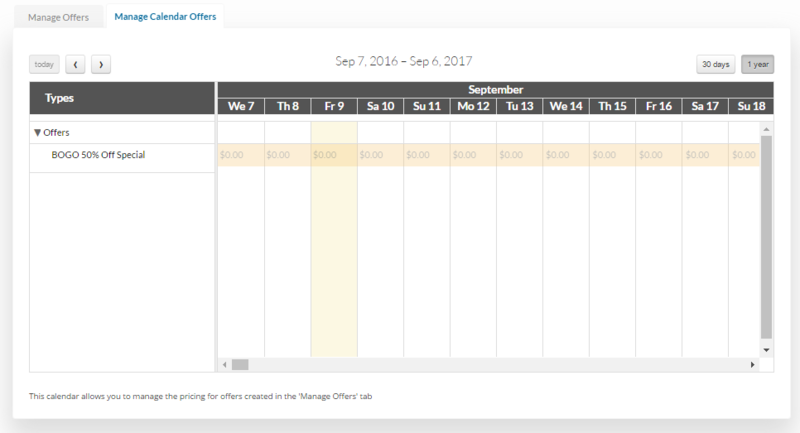 The Manage Offers tab of your dashboard allows you to make limited time only sales and specials. The offer will be created by the site manager and then accepted or declined by individual property owners via the Manage offers tab of their property management page. 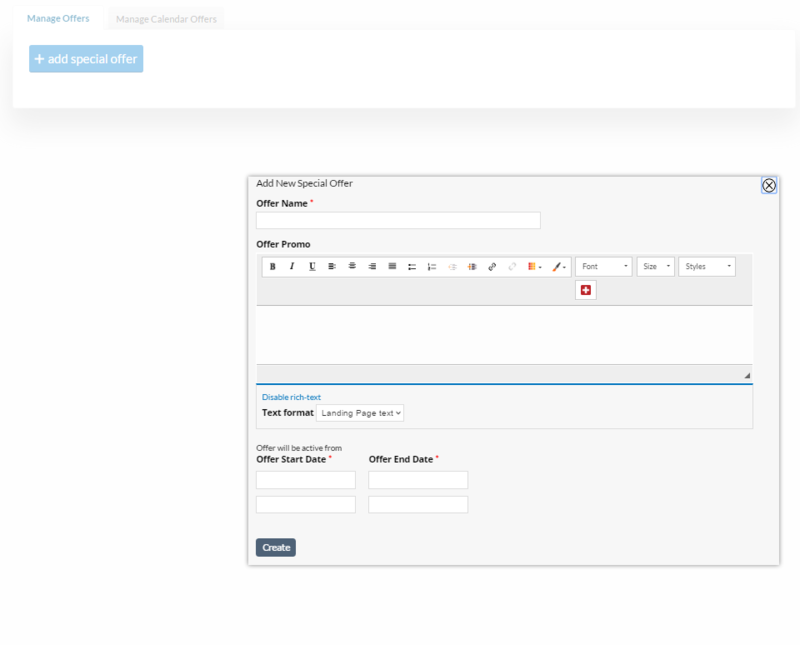 To create a new offer, click on the add special offer button located on your Manage Offers menu. This will bring up a dialogue window where your offer information can be entered. You will enter the offer name, description, and then fill out the time/date fields with the dates the offer is available. The time and dates you are selecting pertain to when the offer is available to book, not when the offer applies. For example, you are offering a weekend stay in October for $100, but the offer is only available to book from Sep 20 at 5:00 pm to Sep 30 at 12:00 am. The dates you will then input into the offers dialogue box are the dates in September. The dates the offer applies will be listed in your description of the offer. Once your offer has been saved, it will appear under your Manage Offers tab. The second step is setting up the pricing described in your offer on the calendar under the next tab Manage Calendar Offers. If you have offered weekends in October for $100, you will then go into the calendar and change the price of each Saturday and Sunday in October to $50. That price will override the standard pricing if those dates are booked during the special offer window outlined above. The third step is determining which properties the offer will be applied to. This is done under the Edit menu on the individual properties. This allows individual property owners to go into their property dashboard and either choose to participate, or not participate in any special offers that the site manager has created. 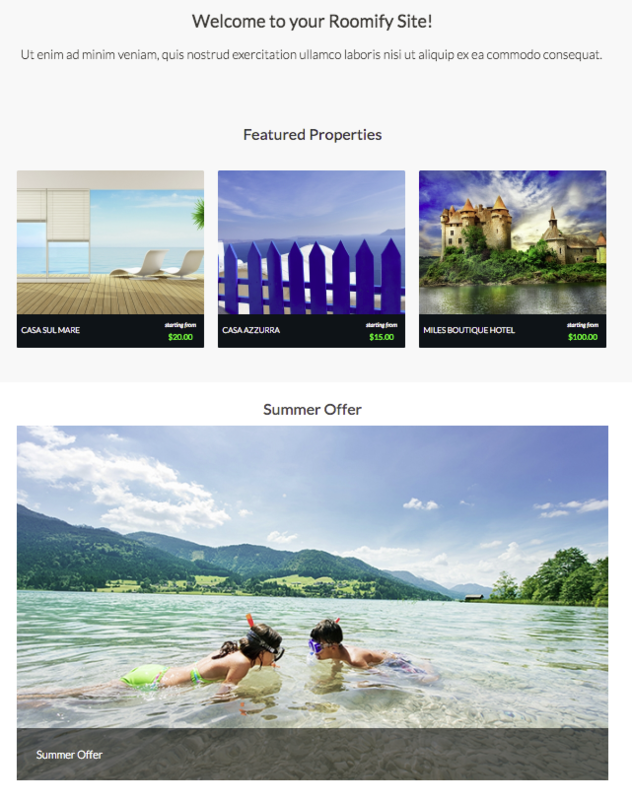 The final step is create the offer page to be selected on the main menu. 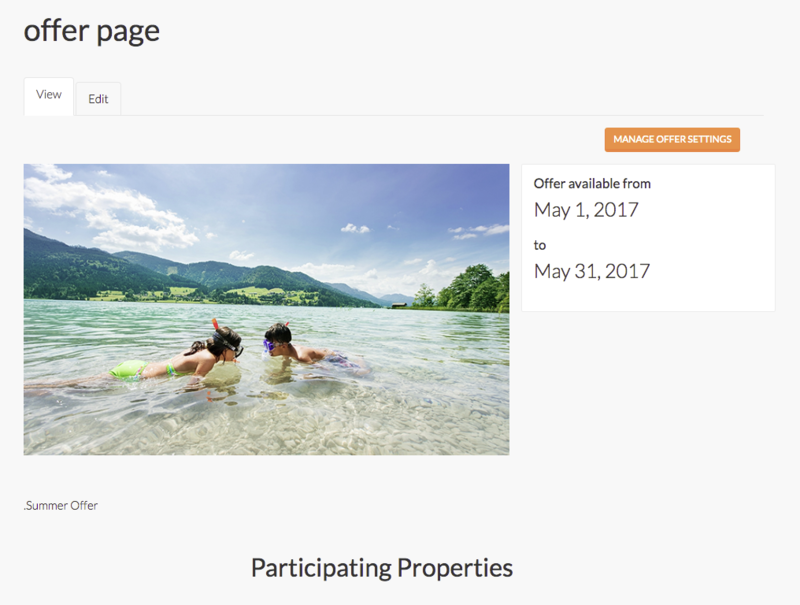 This page will show description, duration and property that participate ad the offer with the possibility to enter in each property page and make a booking. 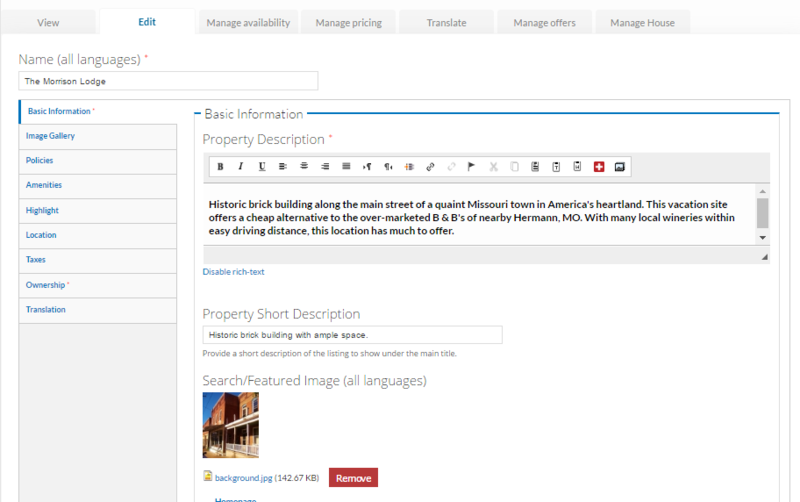 Then you may add this to the homepage and the offer will be shown on the homepage to a greater visibility. Even in this case you can set your offer, your favorite picture and a short description. When you create this page you have to insert the node and the link of the offers page of the main menu.